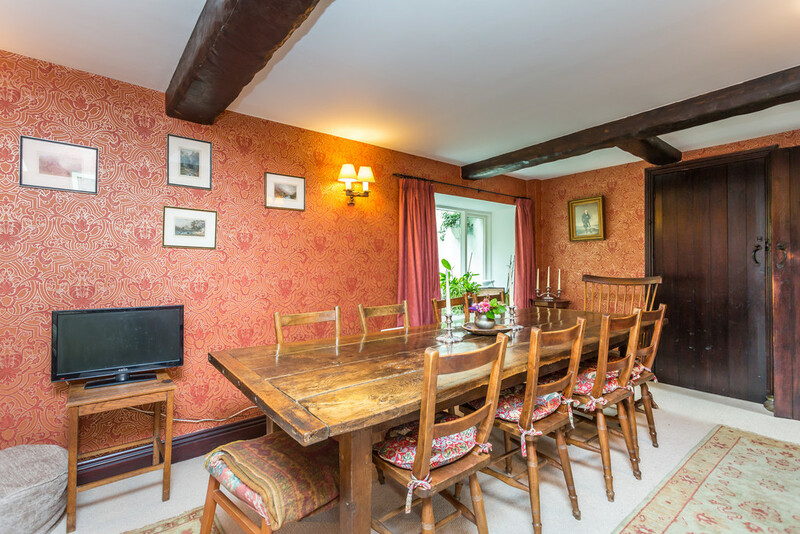 Millholme Mill is an extensively converted mill originally dating back to the 14th Century, enjoying an idyllic position nestled alongside St Sundays Beck in the private hamlet setting of Millholme near New Hutton. Millholme Mill started its life in 1310, a corn mill powered by water and only during the First World War, was a turbine fitted in addition to the water wheel. The mill house bears a stone tablet to the front with the inscription J.J.T 1734 with reference to the Tarn family, the first family to reside at the property. Later in its life a major fire destroyed the mill machinery, stone and contents in 1927 and the owner Mr Parkin ‘was hopeful of having the mill rebuilt as his turbine and wheel were not damaged, but the costs of re-instatement were considered too high’. Millholme Mill was featured in the book Water Tower Mills of South Westmorland by John Somervell. Millholme Mill was then revived and converted in the 1970’s to its current situ with the present owner purchasing the property in 1986. 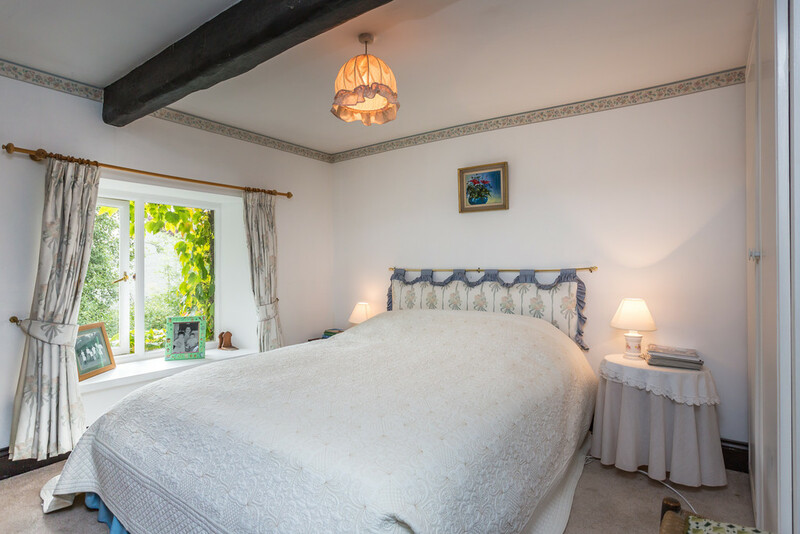 Full of charm and character, Millholme Mill offers well proportioned 4 bedroom accommodation with the addition of a 1 bedroom self catering apartment above the integral double garage. 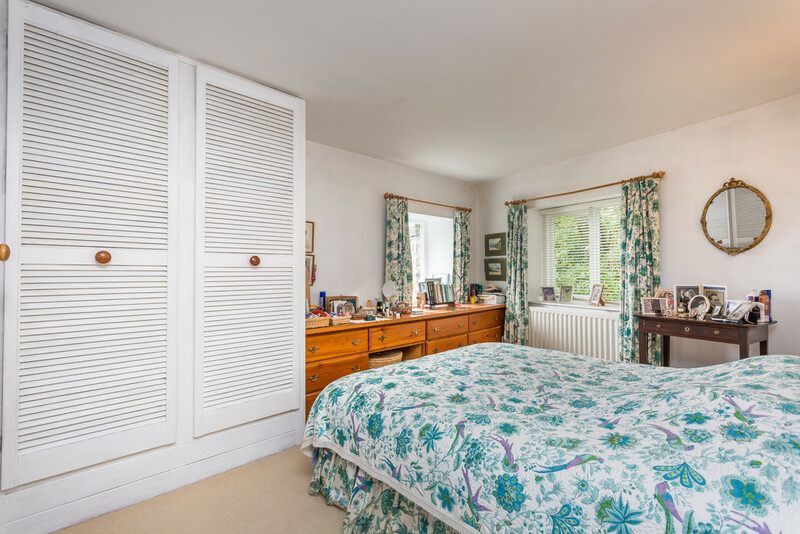 The sweeping drive up to the property meets a large parking area in front and has gardens expanding and stretching alongside the beck to a total of 3.5 acres comprising an orchard and wild flower meadow. Millholme and nearby New Hutton are small, rural hamlets, easily accessible from the historic market town of Kendal to the west, and the popular market town of Kirkby Lonsdale to the southeast both offering a good range of local shops, cafes, pubs, restaurants, services and amenities with a connection to the west coast main railway line at Oxenholme together with convenient access to Junction 37 of the M6 motorway. Conveniently located on the edge of the Lake District National Park and Yorkshire Dales National Parks, there are a wide range of leisure pursuits and fell walks on offer with golf courses close by at Kendal, Windermere, Kirkby Lonsdale and Casterton and well served by private schools, including Casterton, Giggleswick and Sedbergh with state schools at Kirkby Lonsdale and Kendal. 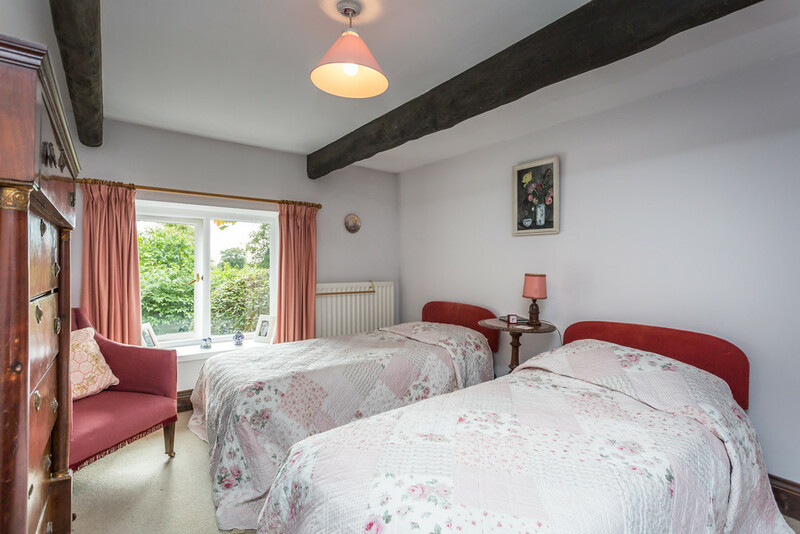 Millholme Mill is currently divided into the main house and a very useful self contained apartment and scope to update and adapt the second floor attics for individual requirements. 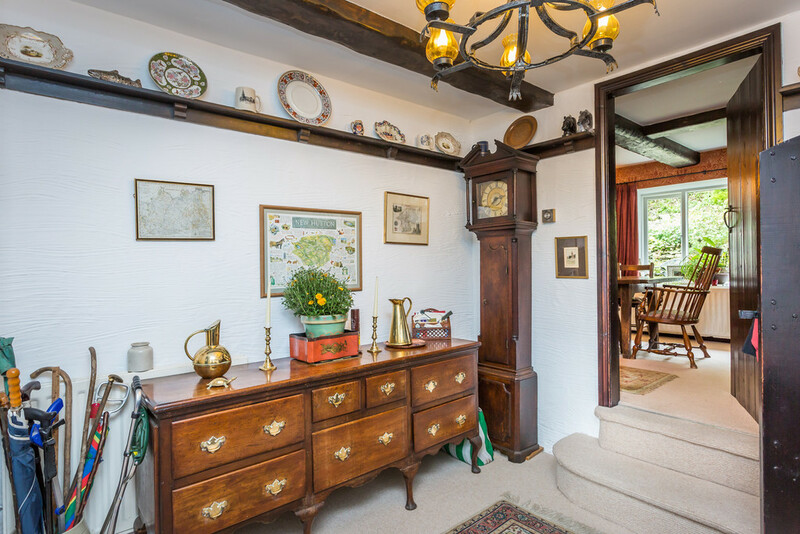 Entering the main house via a traditional stone built open porch with flagged floor, stone seat and tongue and groove panelled ceiling and substantial studded door leading into the entrance hall with exposed beam, plate rail and telephone point. 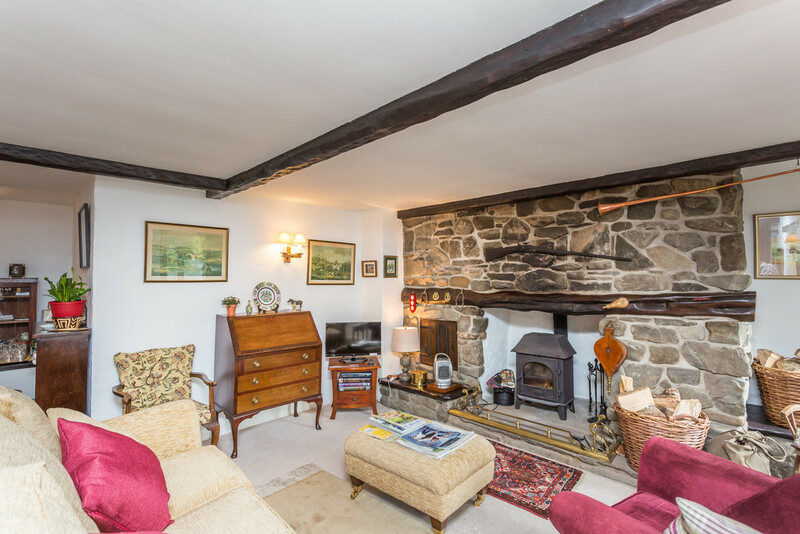 A feature arched wooden door and stone arch with steps lead down into sitting room with inglenook fireplace featuring stone chimney breast, oak lintel, built in cupboard, and wood burning stove. 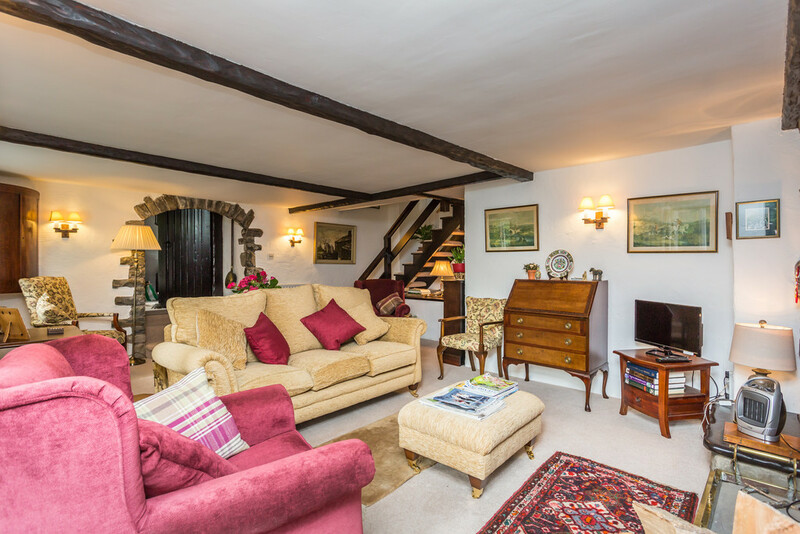 The splendid characterful living room is bursting with features including beamed ceiling, oak window lintels and panelled seat. A formal dining room with dual aspect looking towards St Sundays Beck and beamed ceiling lead onwards to the kitchen having modern base and wall units with oak worktops, tiled splashbacks and stainless steel sink unit. 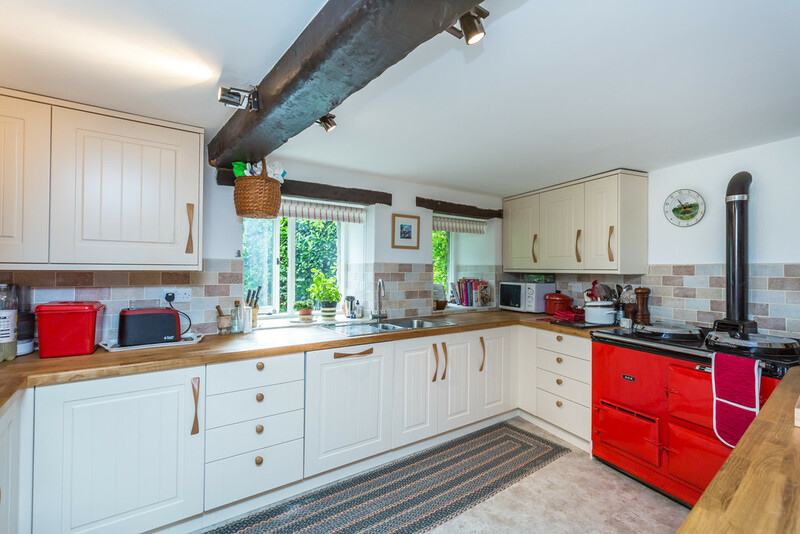 The stand out feature is the Red double oven oil fired Aga with all additional appliances built in. Accessed to the rear is a rear porch with coat hanging space and a cloakroom/ boiler room housing Worcester oil fired boiler and into a generous laundry room with two Velux windows providing plenty of light to the workspace. On the first floor of the main house there are four bedrooms each with built in wardrobes and featuring oak beams and deep sill windows. 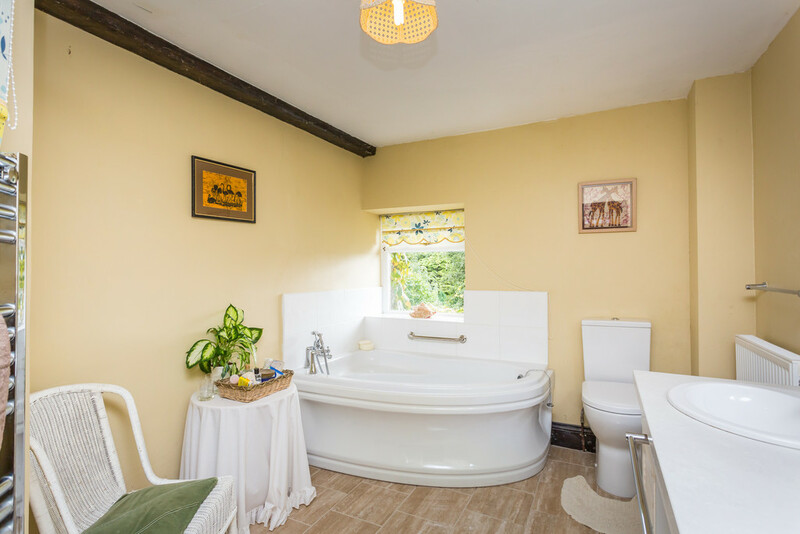 In addition there is a shower room having three piece suite comprising electric shower, vanity basin and WC and a house bathroom having four piece suite comprising corner bath, twin hand wash basin and W.C. From the main landing an open riser staircase leads up to Attic Room which offers scope for further accommodation. (23’11 x 12’4). The self contained apartment is accessed via external steps that open into a combined living kitchen with stone fireplace, exposed stonework, ceiling beams, and kitchen area having painted base and wall units, stainless steel sink unit, electric cooker, refrigerator and washing machine. Off the living kitchen is a bedroom having ceiling beam and fitted double wardrobe, dressing room/study with ceiling beam and skylight window and shower room having three piece suite. 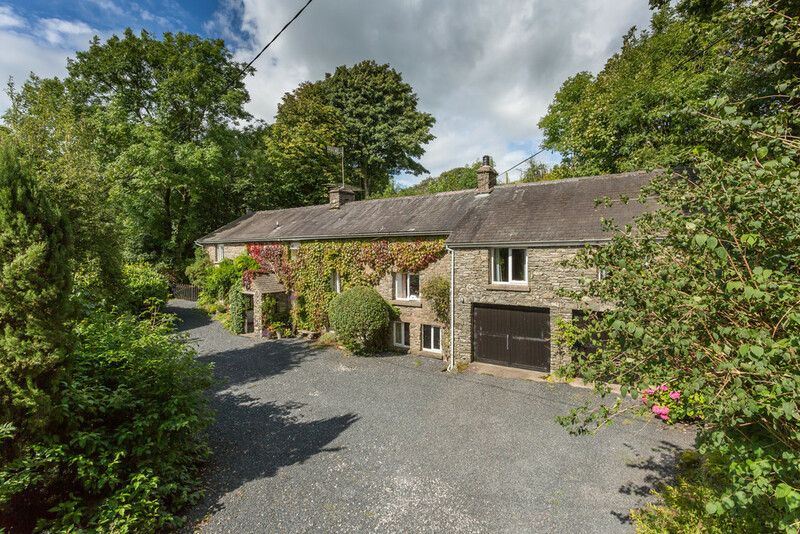 An attractive drive leads over a small bridge with parking to the front of the house with private and secluded large gardens stretching to 3.5 acres in total. There is an integral garage having two sets of timber doors, power, light and wall shelving. 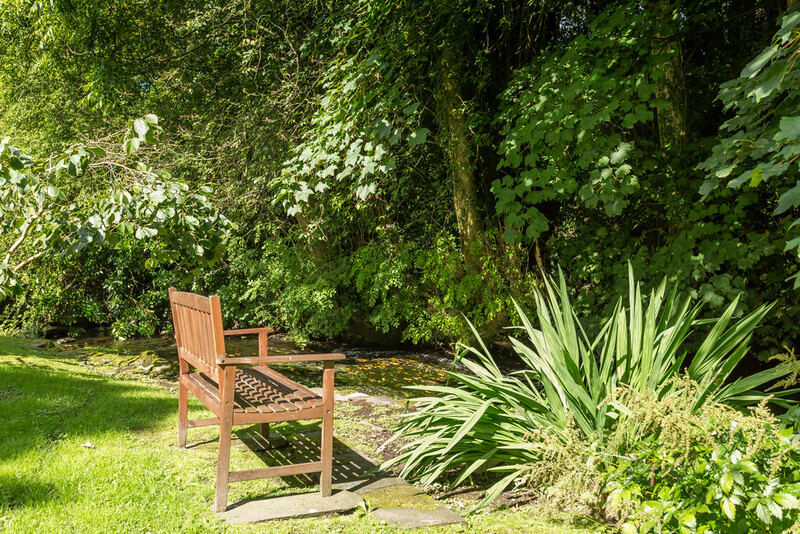 The front gardens are mainly laid to lawn with deep planted, mature borders and St Sunday’s Beck running through which has full fishing and water rights included. Gated access to the side leads to a working area and a sheltered rear courtyard with a backdrop of bluebells in the spring. 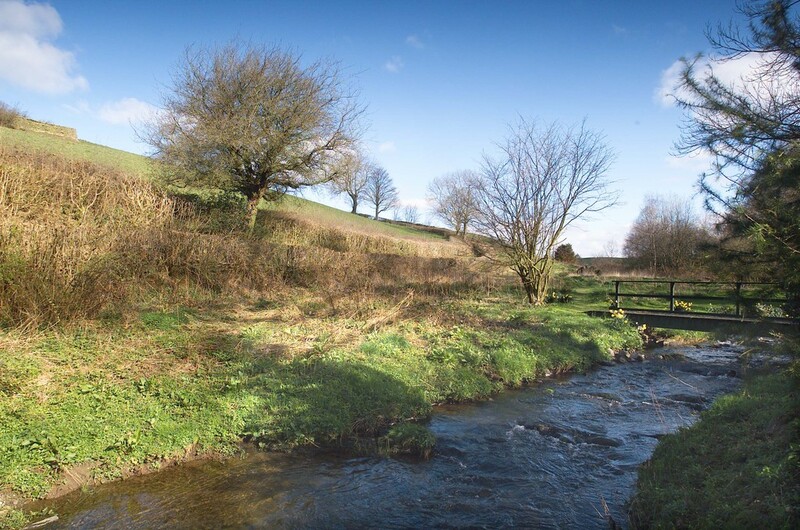 Following adjacent to St Sundays Beck is an orchard and informal garden with wooden summer house and footbridge crossing the stream and wildflower meadow are situated to the northwest of the property. There has been a concrete base in the past for stabling (subject to consent) and gated access to bridleway running adjacent to the gardens. 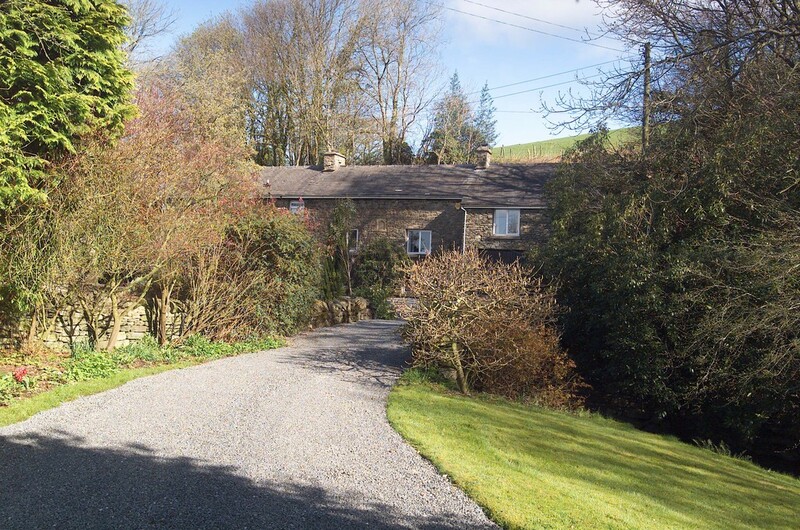 DIRECTIONS Approximately 5 miles from Kendal Town Centre, the property can be found by taking the Sedbergh Road out of the Town. After approximately 3 ¾ miles take the right turning at the cross-roads sign posted New Hutton. 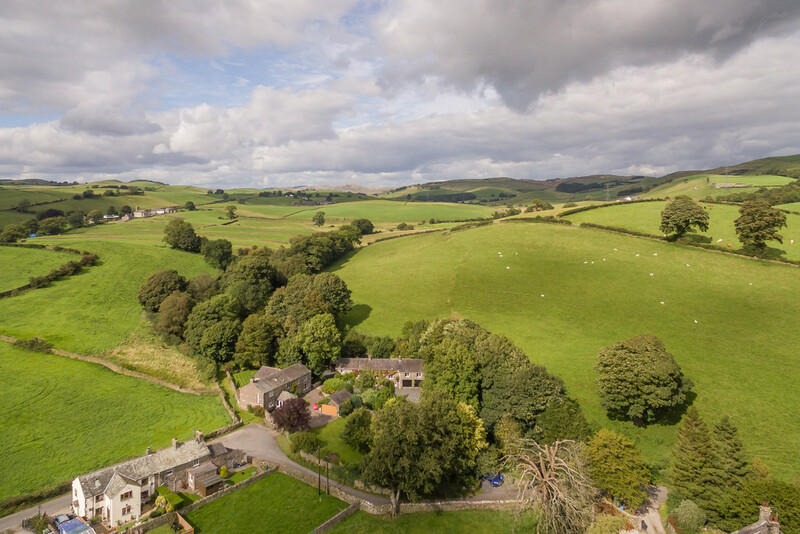 Follow the road down past the village hall and through The Ashes and then next left at Borrans Farm follow the road up and Millholme Mill can then be found immediately before the bridge on the left hand side. SERVICES Mains electric and water.